Nutrients are critical to the development of healthy, productive plants. Your plants need a steady supply both macro and micro nutrients. Learning how to provide these will enable you to enjoy lush, green vegetative growth and sweet succulent fruits. To maximize the potential of your crops, understanding pH is essential. Soil pH is a measure of the acidity or alkalinity of a soil. This deals with the activity of hydrogen ions (H+) in solution. The pH scale ranges from 0 to 14. A pH of 7.0 indicates a neutral. From 0 to 6.9 are the acids. From 7.1 to 14 are the bases. An acid donates hydrogen ions while a base (alkaline) accepts hydrogen ions. With each whole number on a pH scale the reactivity increases by 10. When it comes to your garden, the soil pH has a huge impact on the chemical processes that take place. It affects the availability of nutrients to your plants. The optimum pH range is generally between 6 and 7.5, however not all plants thrive at this pH range. This pH scale shows the ranges of acidity preferred by various vegetables. Addressing pH involves first determining the pH of your soil by testing it. Then you must next look at the pH preferences of the vegetables you want to grow. Only then can you really know if the soil needs amended. 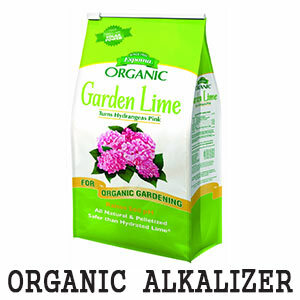 If your soil is too acidic, you can increase the pH with lime. Hydrated lime [ CaCO3 ] is very quick acting, and is easier to misapply. Dolomitic Lime [ CaMg(CO3)2 ] is a form of lime containing both calcium AND magnesium. 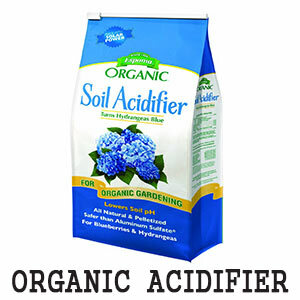 It will reduce acidity in a soil, but at a more controlled rate. It is the preferred solution for container plants. There are other additives that can increase pH such as wood ash. If the soil is too alkaline, you could try iron sulphate, aluminium sulphate or elemental sulfur. A properly structured & pH balanced soil creates the framework for nutrient absorption. But for everything to work, your soil needs a balanced supply of some 16 mineral elements. There are 7 macronutrients (elements that get absorbed in larger quantities). The other 9 are considered micronutrients (trace elements). All 16 minerals are vital for plant life, but they are not all needed in equal amounts. On one hand, plants do demonstrate the ability to selectively absorb certain elements, while excluding unneeded ones. But at a certain point, imbalanced soil composition will create problems. If the soil has too much Phosphorus, it could effect the plants to a point that they are overwhelmed. The excess Phosphorus could start to restrict the plant's access to other elements (such as zinc). People often call this a "lock out". Lock outs can eventually result in a deficiency. When a nutrient becomes so concentrated that it actually harms a plant, this is referred to as toxicity. Boron toxicity can occur at relatively low concentrations in a soil. And it may result in poor overall growth performance. So the question is: Is your soil well balanced? A soil test is the only real way to know. In absence of that, you could start by choosing a balanced, all-purpose fertilizer. When you look at the package, you should see three numbers. For example, the bag may say 10-10-10. The 1st number applies to Nitrogen, then Phosphorus (in the form of P2O5), then Potassium (in the form of K2O). A fertilizer of 10-10-10 would supply equal amounts of all three. If a soil test indicated excess Phosphorus, you may select a 10-0-10 fertilizer to help balance things. Nitrogen (N) - (Primary Macronutrient). A component of chlorophyll, nucleic acids and all proteins. Helps plants with rapid growth and increased seed and fruit production. Nitrogen promotes vigorous growth and dark green color, improving the quality of leaf and forage crops. Phosphorus (P) - (Primary Macronutrient). Involved in the formation of oils, sugars and starches. Phosphorus is needed for transformation of solar energy into chemical energy. It is vital for root development and blooming. Potassium (K) - (Primary Macronutrient). Helps with building protein, photosynthesis, fruit quality and disease resistance. The overall hardiness depends on a good supply of Potassium. Calcium (Ca) - (Secondary Macronutrient). Calcium is used in the synthesis of new cell walls. It aids in uptake and retention of other elements. Calcium provides strength to the plant, improving plant vigor. Magnesium (Mg) - (Secondary Macronutrient). The central element of a chlorophyll molecule. Magnesium helps to control nutrient uptake and is a carrier of Phosphorus. Sulfur (S) - (Secondary Macronutrient). A structural component of protein and various enzymes. A catalyst in chlorophyll formation. 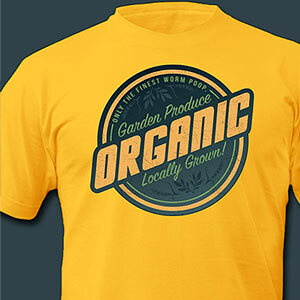 Sulfur promotes root growth, seed production, a dark green color and boosts resistance to cold. Silicon (Si) - (Additional Macronutrient). Deposited into cell walls, silicon strengthens them by enhancing rigidity and elasticity. Improves drought and frost resistance. Boron (B) - (Micronutrient). Aids sugar and carbohydrate production. Essential for seed and fruit development. Chlorine (Cl) - (Micronutrient). Helps control water loss and moisture stress by regulating osmosis and ionic balance. Used in photosynthetic reactions. Copper (Cu) - (Micronutrient). Helps produce chlorophyll. Involved in many enzyme processes. Important for reproductive growth. 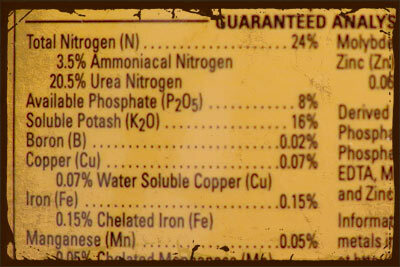 Iron (Fe) - (Micronutrient). Necessary for photosynthesis. Involved in Nitrogen fixation and respiration. Promotes dark green leaves. Manganese (Mn) - (Micronutrient). Used in building chloroplasts. Involved in breakdown of carbohydrates, and nitrogen. Manganese ions activate several enzymes in plant cells. Molybdenum (Mo) - (Micronutrient). Essential in some enzyme systems for building amino acids. Helps to break down nitrogen for plant use. Nickel (Ni) - (Micronutrient). Essential for activating enzymes involved in nitrogen metabolism in order to process urea. Sodium (Na) - (Micronutrient). Helps with water regulation and photosynthesis. Sodium substitutes for potassium in some functions. Zinc (Zn) - (Micronutrient). Required for a large number of enzymes and growth hormone production. Zinc plays a vital role in DNA transcription.